JAMMU: Jammu and Kashmir Chief Minister Mehbooba Mufti today announced the withdrawal of cases against youths involved in stone-pelting for the first time. Mehbooba said this confidence-building measure reaffirms the central government's commitment to creating an atmosphere for sustained dialogue. "It gives me immense satisfaction to restart the process of withdrawing FIRs against first-time offenders involved in stone pelting. "My government had initiated the process in May last year but it was stalled due to the unrest," she posted on Twitter tonight. "It is a ray of hope for these young boys and their families. This initiative will provide them an opportunity to rebuild their lives," she said in another tweet. "It is encouraging that the interlocutor has started on a positive note. His recommendations are being taken seriously by both the central and state government," she said. 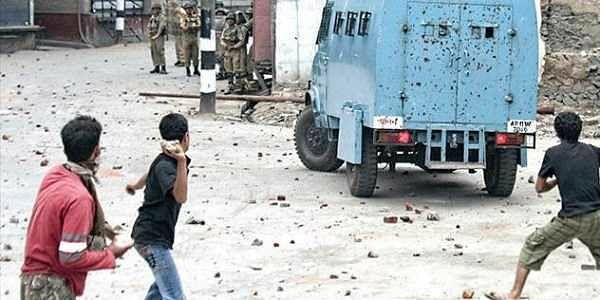 Over 11,500 cases have been registered against stone pelters since July last year when unrest broke out in Kashmir following the death of Hizbul Mujahideen terrorist Burhan Wani in an encounter, they had said. Out of these, over 4,500 cases were registered against youths who were found indulging in stone pelting for the first time, the officials had said.